Here is something interesting, Source Point Press sent out an email for Stranger Comics. In the email, it mentions significant movie plans for the comic, Niobe. Now, we have been on this book since Mel first mentioned it three years ago in his Baltimore Comic Con Wrap Up and later when I mentioned the plans for a movie in the One to Watch: Niobe post after talking to Sebastion at Stranger Comics. Niobe, who first appeared in The Untamed A Sinners Prayer #1 , before getting her own series with Niobe She is Life #1 , has been speculated as being looked at for a movie for a while. The Stranger booth at conventions are extremely busy. Really a great group of people. Source Point Press sent out an email about Stranger Comic’s newest Niobe Kickstarter going on now. Included in the email was mention of the Pathfinder Role Playing Game and mention of the Movie Announcement coming soon. 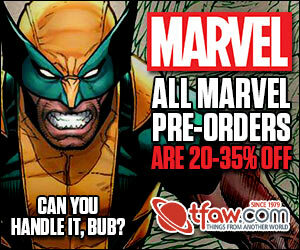 Thanks to my friends at Comic Book News and Speculation for the heads up. Bought a couple of sets Untamed #1 plus variant and standard #1 years back. Will definitely put a set out to sell. Saw one with the same books on Ebay for $300. That’s a bit much, but will be interesting to see where these books go especially Untamed #1 variant. 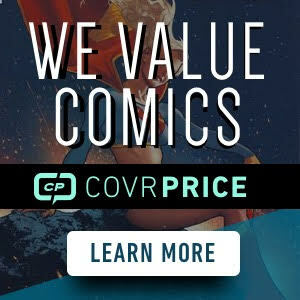 Stranger Comics website has first print #1 for sale for $8.Cheaper than Ebay. Untamed #1 is the way to go. Definitely. Saw a few non variants of untamed #1 online for $20 to $25. Doubt they will last long as this news spreads. Side note, as of writing this, Midtown has Niobe #1 blank cover (D) on sale for $2 each. I picked up a a few. At two dollars each that is about the lowest risk purchase out there. Could be a nice quick flip seeing all the cheap ones have sold on Ebay and those up right now are asking about $12. I have a bunch of Niobe…… but they are in one of my unorganized boxes, so it’s going to take me some time to find them all.